Customized medicated lip shimmer w/white tube cap comes across as a soothing healer and boosts confidence of a user. This lip balm offers a very protective and soothing cover over lips and enriches its texture. It banishes dryness inflicted by weather by locking moisture over lip tissues. This medicated lip balm is a large cosmetic healing choice for Americans, since last many years. Health Quotient – Medicated flavor. Sweetened with saccharin. No harsh synthetic product manipulators included. Cruelty- free. No fillers, additives, flavors, taste enhancers, colors and preservatives included. FDA approved formulation. Directions – Dab medicated lip balm evenly over lips to avoid chapped, cracked, dry, and burned skin. For added effect, compliment it with every regular lip make up that you use. 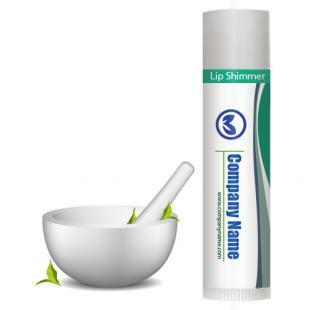 Gifting Favors – Customized medicated lip shimmer w/white cap make a great gifting choice for health practitioners, healthcare services, hospitals, holistic healers, and herbalists. This lip balm makes a great seasonal greeting choice or a add-on with some purchases.